Our installers adhere to MVMA guidelines combined with an artist’s eye for composition to insure the most appealing and impressive outcome. 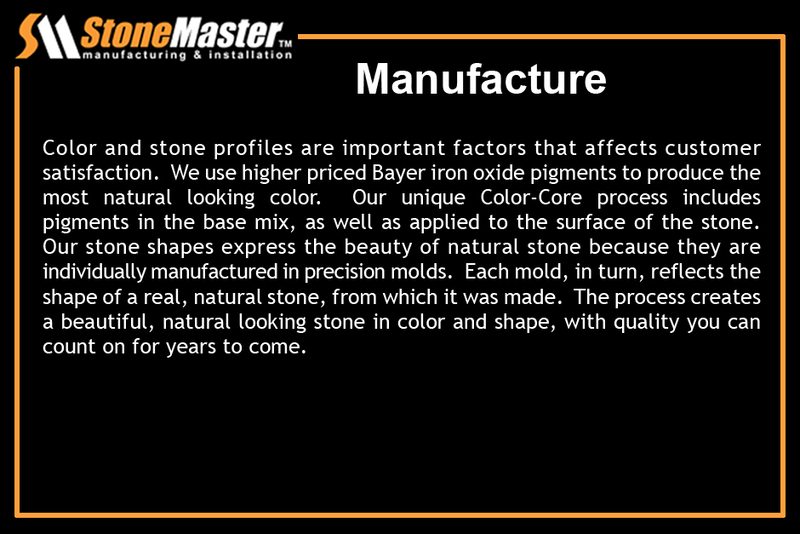 StoneMaster artisans develop design alternatives for your review or create a custom design based on your requirements. 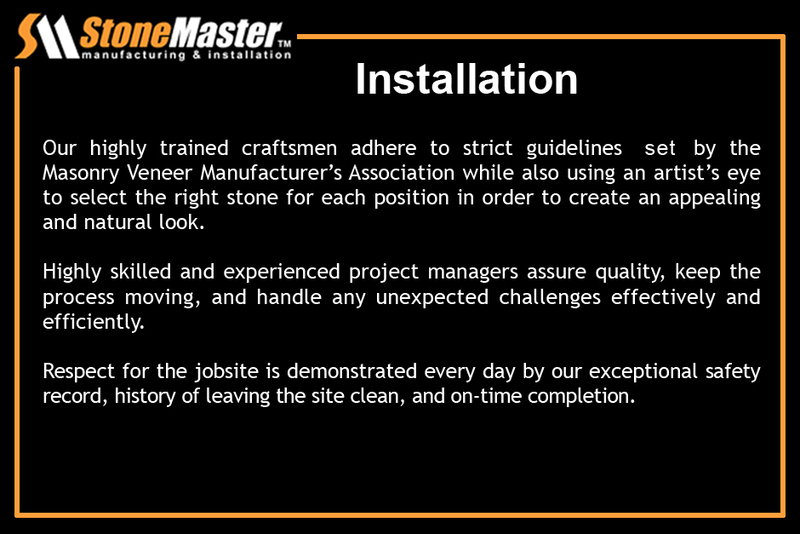 Large or small projects, StoneMaster will deliver quality stone products on time in specified quantities at an attractive price.